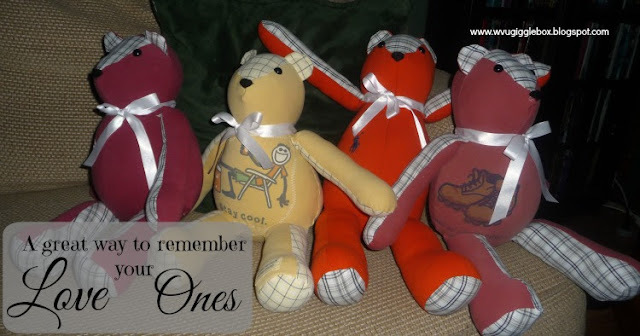 Last year, I ran across a local business (Twos a Hoot) that takes a love one's piece of clothing and makes it into a memory bear on Facebook. When I received the news about my dad, I contacted my sister-in-law, Meredith, to see what she thought. She loved the idea of having these made for the grand kids. She had mentioned to me that she would love to have the bears for her kids to be made out of my dad's Life is Good shirts. During one of my many trips down to my Dad's, I told him and my step-mom about what Meredith and I wanted to do. They loved the idea and let me take what I needed from his closet. 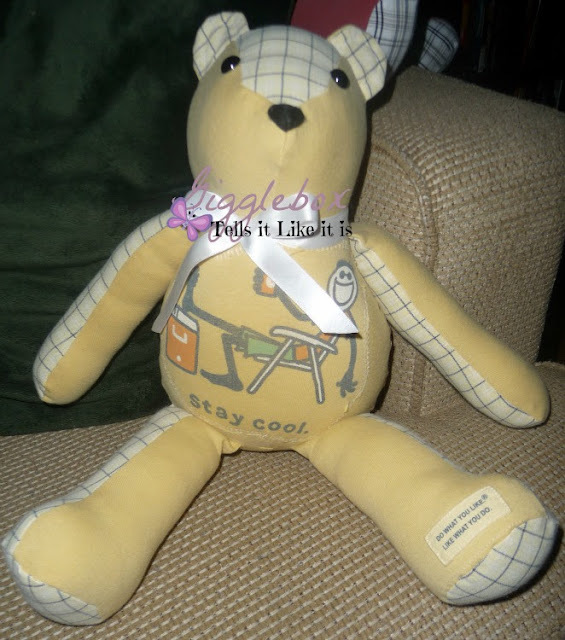 Dad had exactly three Life is Good shirts so I took them for my nephew's and nieces' bears. Michael's favorite color is orange and Dad always made sure to pack his bright orange polo whenever he would visit because he knew that Michael would love it so, I made sure to take that as well. I took a few button up shirts and some extra polos for possible future bears. Once I got all the shirts, I contacted Twos a Hoot (Facebook and Etsy) to see about how fast they would be able to make the bears (we wanted my dad to be able to give the bears to the kids). They were great to work with and was able to make all four of them in a reasonable amount of time. This is Michael's. 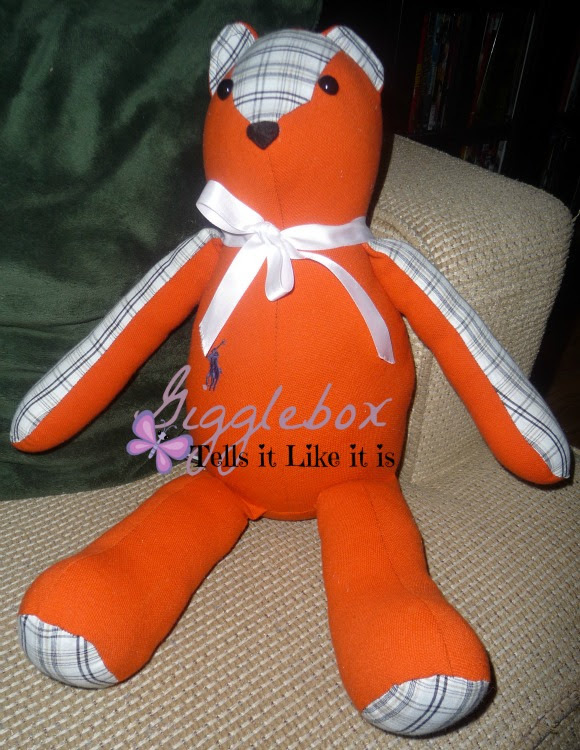 I could of had the bear completely made from the orange polo, but I wanted to break up all the orange. We went with using one of the button up shirts as the secondary shirt. This is my dad wearing his orange polo from when he came to visit in January. I think this bear is the most special one because this is made from my dad's favorite t-shirt. You can tell that the shirt was worn often because some of the wording is faded. The shirt says "Not all who wander are lost.". We used the same button up shirt as Michael's bear for the secondary shirt for this one. Meredith and Mike (my step-brother) decided that this was going to be my nephew, Jasper's. My dad wearing his favorite Life is Good shirt. The hat actually matches the shirt. I was very happy with the way this bear turned out. Since the picture on this Life is Good shirt was rather big, I wasn't sure how they were going to be able to make the bear with it. Love that they thought outside the box and were able to keep the entire picture. I even love that they used the tag at the bottom of the shirt on one of the legs. We used a different button shirt for the secondary shirt. Meredith and Mike decided that this would be for my niece, Anabelle. Dad never got to wear this shirt. 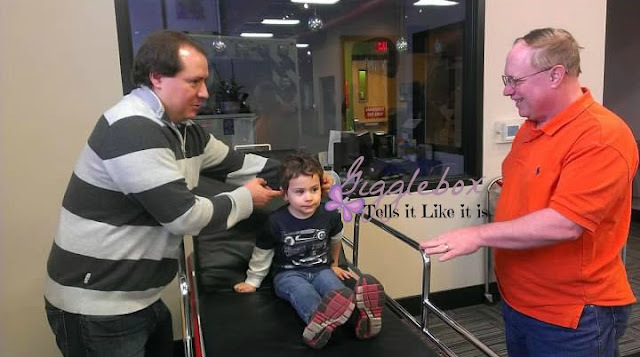 He got it as a Christmas gift from Mike and Meredith this past Christmas. The last bear was made from a Life is Good shirt that said, "Half Full". We used the same button up shirt that was used for Michael's and Jasper's bears as a secondary shirt. Meredith and Mike decided that this would be for my niece, Wren. Dad in the back wearing this Life is Good shirt. I was so glad that my dad was able to give all four of these bears to the grand kids. It makes the bears even more special to them. Michael, Jasper, and Anabelle decided that they were going to spin around and throw their bears in the air. My dad had a huge smile on his face watching them enjoy these bears that were made out of his shirts. Wren was not yet six months so she couldn't have the type of fun that the rest of the kids were having. 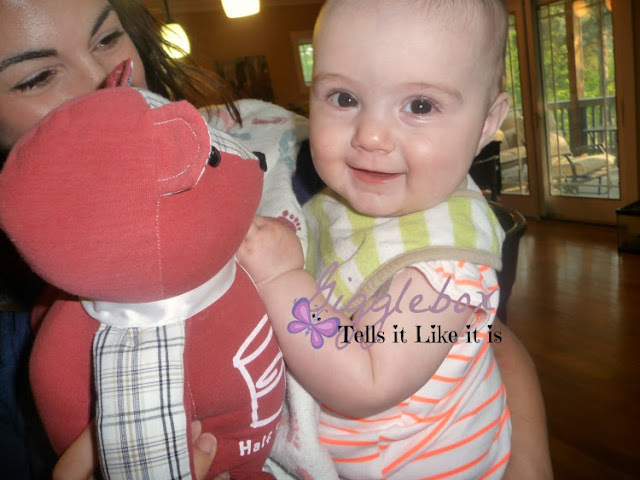 She was excited to get the bear though, I mean look at that smile on her face! 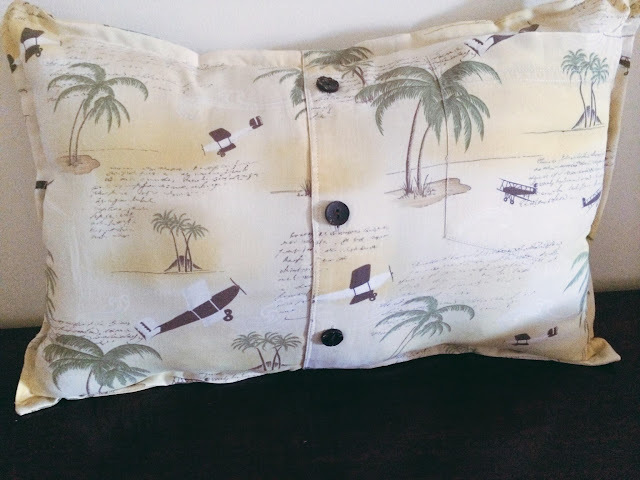 Meredith and I had a memory pillow made for my step-mom out of my dad's travel shirt. I love that they kept the pocket and some of the buttons. 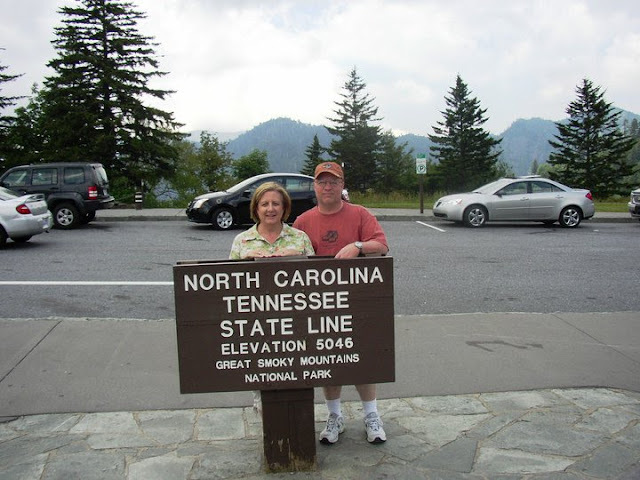 The shirt is very appropriate because of all the traveling that Dad and Becki did together. He always wore this shirt when they were flying so that he had a place to hold their boarding passes. 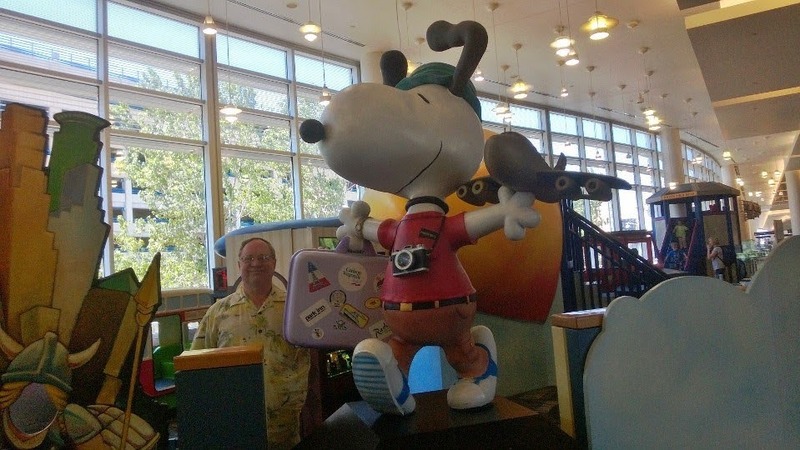 Dad wearing his travel shirt in one of the many airports he's traveled through. I'm so glad that we had these made. All the kids love their bears. Michael takes his with him everywhere and can't go to sleep without it. 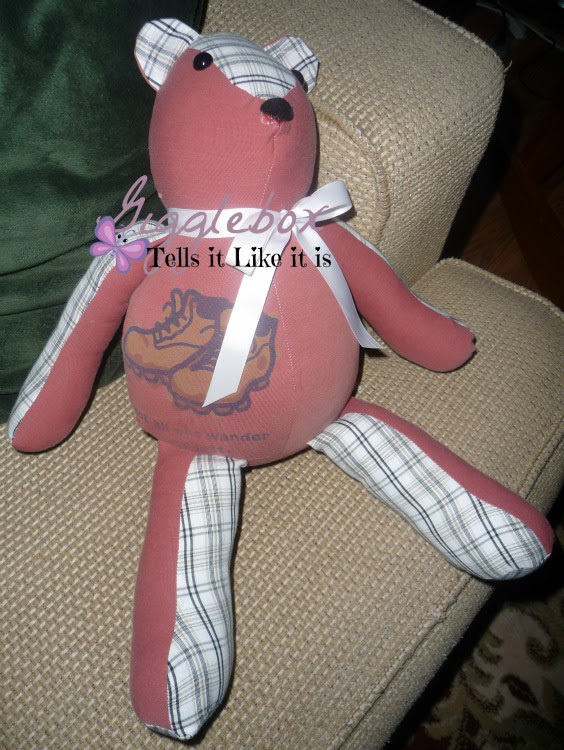 Before receiving this bear, he would not sleep, hold, or play with any of his stuffed animals. 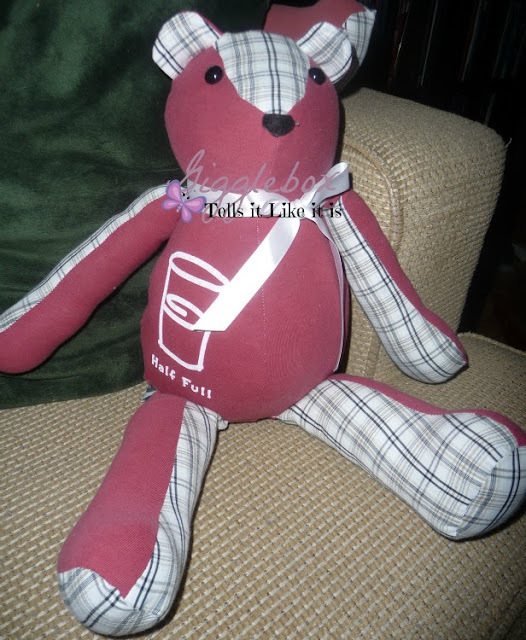 If you live in Northern Virginia and want to have a memory pillow or bear made, definitely contact Twos a Hoot. I was told that I would be able to have at least one other bear made with the remainder of all the shirts. I will be contacting them if there are any future grand kids. If you don't live in Northern Virginia, I would recommend searching and seeing if there's someone local to have these made for you. As I said, I'm so glad that I had them made. Such a sweet sentiment, it is so nice for the kids to have something to hold on to. A tangible piece of him to hold. I grew up as an army brat and whenever my dad was out on deployment I would sleep with one of his flannel button downs... so this really touched my heart as it felt very near and dear to me. 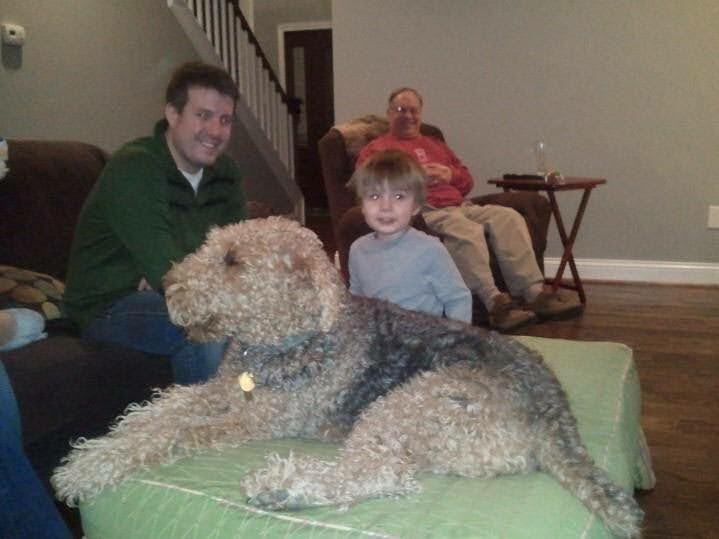 Thanks for linking up at the Welcome Home Wednesday Link Party... we can't wait to see you again next week! Thank you. The kids love their bears and I think of my dad every time my son is holding his bear.